An alternative translation may be read here, alongside the Arabic text. Understood in this historical, theological context, the form of the hijab, if analyzed as a kind of media, would have been a partition and one message it would have conveyed would be that the women behind it were the wives of the Prophet Muhammad and therefore ineligible for marriage to any other man. These women were not just married to the Prophet Muhammad, they helped establish his connections with politically influential families as Islam took root in the Saudi Arabian peninsula. The shift in the meaning of the hijab from “curtain” to the tradition of veiling or its particular form as a style of headscarf, as it is popularly understood today, would most likely not have occurred until after the death of the Prophet Muhammad. A timeline of Islamic history may be viewed here. As Islam spread outward from Saudi Arabia in the time after the death of the Prophet Muhammad, it changed. So, too, did the form and message of the hijab. Although it is unclear exactly when the transition from curtain to covering occurred, one can see the ways in which the tradition of veiling that would come to be known as hijab has manifested throughout the Middle East, Africa, and Asia. MuslimGirl produced “100 Years of Hijab Fashion in One Minute (MENA/Asia)” and “100 Years of Hijab Fashion (Africa Pt. 1),” viewable below. The videos demonstrate the ways in which the hijab has taken on different forms, as well as political and non-religious meanings, from 1910 up until the present. In different places, at different times, the hijab has taken into its form a multiplicity of meanings. worn as a fashion statement. None of these meanings are exclusive of one another and these examples are not exhaustive. Further, the materials constituting the hijab or any of its particular forms (such as the abaya, burqa, chador, hijab, or niqab) reflect the localities in which they are both produced and worn. In the United States, one can see the hijab in its multiplicity of forms among groups of refugees, immigrants, and citizens, such that it cannot be used to distinguish one group from the others. As a medium, it cannot convey or confer citizenship. However, the hijab can signal change over time, as Muslim women in the United States might choose to veil or choose not to veil in response to personal, local, national, or international events. The hijab is also part of an ongoing conversation taking place within Muslim communities. For example, in the summer of 2017, model Halima Aden appeared on the cover of Allure magazine wearing a Nike brand hijab, which, while celebrated in some circles, has also encouraged intra-community discussion over the commodification of Islamic culture in the Western world. The hijab makes Muslim women who choose to veil one of the most visible representations of their faith. The forms and meanings of the veil are as different as the women that give them form and meaning, whether or not they choose to wear the hijab, and the contexts in which they do so. As a kind of media, the hijab stores, in its form, and disseminates, through its meanings, information. Ahmed, Leila. Women and Gender in Islam. Yale University Press, 1992. “حجب hajaba.” The Hans Wehr Dictionary of Modern Written Arabic, Edited by JM Cowan, Spoken Language Services, Inc., 1994. Haleem, M.A.S. Abdel. The Qur’an: English Translation and Parallel Arabic Text. Oxford: Oxford UP, 2010. Print. Hair is a critical component of culture in the African Diaspora. It was always more than a mass that grew on my head, but a symbol of community. Hair styling at home often required me to sit between my mother’s knees as she pulled a comb through my kinks; styling at the salon meant observing as my mother engaged in gossip with the other ladies, found out about the latest church event, and reunited with long lost cousins. The salon and the relationships forged in the process of hair styling are in their own rite vehicles of communication– displaying love and kinship– but the hair itself has always held meaning. Ayana Bird and Lori Tharps said it best when they explained that hair, in Black Culture, is a vehicle of communication, “a carrier of messages.” Going back as far as the 1400s, Bird and Tharps explain that Black hair has always stored, displayed and disseminated information. Particular geometric patterns of cornrows on the head or other types of braids often indicated “marital status, age, religion, ethnic identity, wealth and rank.” Braided styles, after completed, were not fleeting—they were often worn for days, even weeks afterwards. The ability to indicate, for example, marital status, could be observed on an individual woman for days at a time. Some patterns could even indicate which family a woman belonged to, which offers an instance of displaying familial pride with one’s hair. It would even be rumored that enslaved Afro-Columbians used certain patterns of braiding as maps to freedom. More recently, Black hair became a political statement. William Van Deburg discusses the budding Black Power Movement in Day in Babylon, stating that “during the late sixties, white American youth used their hair to make a variety of political and philosophical statements. Young blacks were not excluded from this trend.” (198) In 1966, Stokely Carmichael, in his speeches, as he urged audiences toward Black Power, a concept which centered around self-determination for Black people, he would also contribute to the Black is Beautiful movement, stating that “a broad nose, a thick lip and nappy hair is us [Black people] and we are going to call that beautiful whether they like it or not.” (201) This plea for Black people to love themselves as they were would help popularize the Afro, as well as other natural hair styles. In the midst of Black Power, natural hair styles would symbolize a commitment to unapologetic Blackness and “a statement of self-love and personal significance.” (Van DeBurg, 201) It came to indicate a break with white hegemonic cultural norms and thus an embracement of Black culture. In 2017, statements about one’s political life can also be displayed through one’s hair. For women, in particular, it is becoming increasingly rare to find a young Black woman who regularly relaxes her hair. 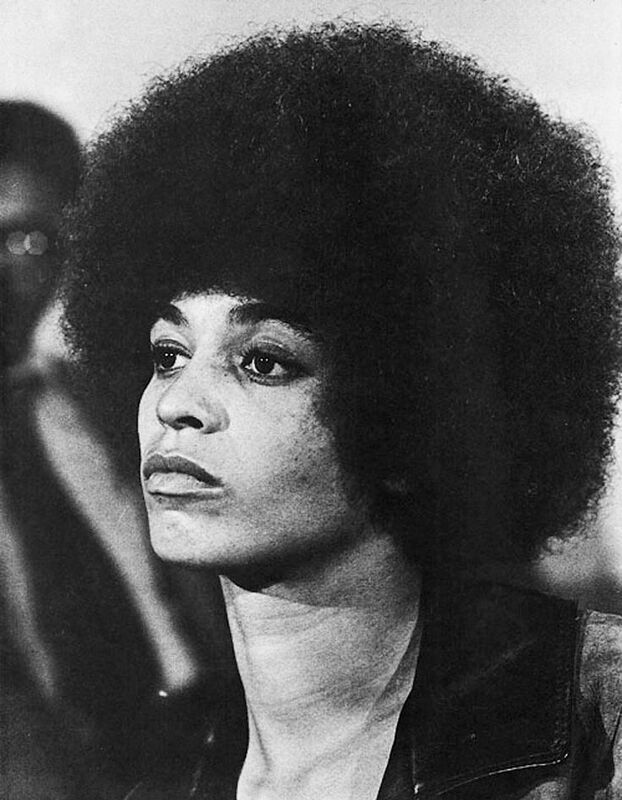 It seems only fair to note that as Afros and natural hair increased in popularity during the Black Power Movement, natural hair today appears to be making a comeback parallel to the development of #BlackLivesMatter. The debates around today hair sound familiar: one side argues that to chemically straighten one’s hair communicates an accommodation of white supremacy, the other argues that natural hair is just a trend– an empty symbol with no meaning. While it is possible that this moment may very well be “trendy,” it is a trend that is rooted in a legacy of politicized Black hair. It is entirely possible that it is a fad, but there is something inexplicably liberating about cutting off your relaxed hair. Freeing my hair helped me communicate the pride I felt as a Black person—it was the most basic form of self-expression and self-love as my kinks communicated to the world that I had no desire to conform to white American standards of beauty. It meant something in 1966 when Stokely Carmichael called for Black people to embrace their beauty. That same message of self-love by embracing their natural hair is still heard today—just turn to the Knowles sisters, Beyoncé and Solange, who both sung of the magic of Black hair on their 2016 albums while wearing natural hair styles themselves, or else featuring women with natural hair in their music videos. 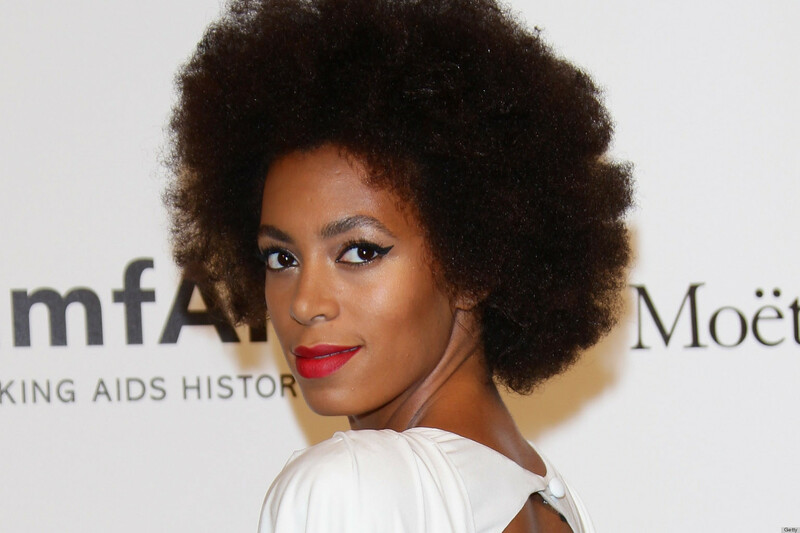 Solange’s song in particular, “Don’t Touch My Hair,” particularly resonated with Black women as they recognized that their hair was political, historical, and extraordinarily valuable because of all that it was—at the bare minimum an expression of self, an assertion of personhood, and a freedom to love of one’s own body. And so I persevered. And trusted the silence that envelops and transcends words. Knowing all the while that any one of the fields of ashes in Birkenau carries more weight than all the testimonies about Birkenau. Images of shoe piles in concentration camps have become, in some contexts, a symbol of Holocaust remembrance. Alongside burning candles, calls to “never forget,” and the rattling sounds of cattle cars, shoes have a stronghold in Holocaust memorializing. As representations of the unnamed dead, empty shoes have had multivalent and historically situated meanings; In the present day, the Washington D.C. and Auschwitz Holocaust memorial sites reenact the concentration camp shoe piles in order to evoke an unintelligible sense of loss. In the camps, the shoe piles had multiple meanings as well. For Nazis, the shoe piles acted as a visual representation of the success of their final solution. Every pile and overstocked warehouse represented a death toll; each pair of shoes represented a captured or murdered body. Left on display the in camps, shoe piles disempowered and threatened those imprisoned within. People in the camp saw overwhelming, ever-growing piles of shoes that emphasized their mortality. Tall enough for large swaths of prisoners to see, the overbearing piles of shoes spread the threatening message through the camp. Jews, Romani, disabled people, homosexuals and others were made aware of their inferiority and inhumanity in the eyes of the Nazi regime. As representations of the dead, Holocaust shoe piles have threatened and emboldened those who encounter them. Marshall McLuhan describes clothing as “an extension of our skin [which] helps to store and channel energy” (McLuhan 119). Piles of shoes confiscated from the captured and the dead carried, and still carry with them, the essence of a body that is no longer there. Ambiguous souls occupy the shoes that were collected, sorted and displayed by camp prisoners. The above image, “Aufräumungskommando at Auschwitz-Birkenau Sort Through Shoes Confiscated from Hungarian Jews” demonstrates the emotional, spiritual and energetic work that Nazis subjected camp prisoners to (Note: this image was taken from the “Auschwitz Album” which included within it, among other things, images of the Aufräumungskommando of Auschwitz, a group of primarily Jewish order commandos). The fresh shoe pile is taller than the Aufräumungskommando sorting through it and too long to fit entirely into the image. As it towers over them, the shoe pile contains within it the heavy story of Hungarian Jews who were transported to Auschwitz-Birkenau. But also, the Aufräumungskommando had to touch each pair and sort them into piles based on their monetary value. The bodies that would be gassed, burned, and overworked to support the Third Reich would continue to possess economic value for the regime. When prisoners’ bodies were gone, their shoes would be traded and sold in complex sales networks. Eventually, the shoes would be removed so far away from the camps that the aura of the person who wore them would disappear. As the Aufräumungskommando worked, they were forced to separate the essence from the shoe, the object from the person. And as the Nazi’s intended, the bodies would be forgotten. Piles. Images from the Holocaust consist of piles: piles of glasses, piles of suitcases, piles of hairbrushes, of teeth with gold fillings, of jewelry, of bodies, of ashes…of shoes. All of the piles reflect the absence of bodies. While each of these collections holds deep meaning, piles of shoes have a weighty aura of the people who wore them. The breadth of genocidal rage and the rise of Nazi power can be sensed in those piles. But the meaning has also been flipped by descendants who have transformed them from architectures of power to metaphorical gravesites. Regardless of their application, the piles of shoes from concentration camps contain a sense of the dead and spread the affective horror of the Holocaust. McLuhan, Marshall. Understanding Media: The Extensions of Man. The MIT Press, 1994. Wiesel, Elie. Night. Hill and Wang, 1972.